Exeter Chiefs have confirmed the signing of lock Tom Price from Pro14 club Scarlets ahead of the 2019/20 season. The 26-year-old has been a product of Leicester Tigers Academy and joined Scarlets in 2016 making 56 appearances for the Welsh regional side since then scoring three tries. Price will now head to the Sandy Park after signing a two-year deal with the Gallagher Premiership club and will become the second lock to be signed by the club in recent days after Will Witty, who will join from Newcastle Falcons. “It’s a great move for me. Exeter are a great club, well coached and have some very good players," he told the official website of the club. "At the same time, I’m grateful to the opportunity that the Scarlets have given me over the last few years.I’ve enjoyed my time there, met and played with some great people, but just feel it’s the right time to try something new. “As I said, Exeter are a quality side and they’ve proved that now for a number of years. They are one of the best sides in England and in Europe, so I’m looking forward to getting down there and being part of it all." Price also represented England U20 side that went on to clinch the 2013 IRB Junior World Championship. 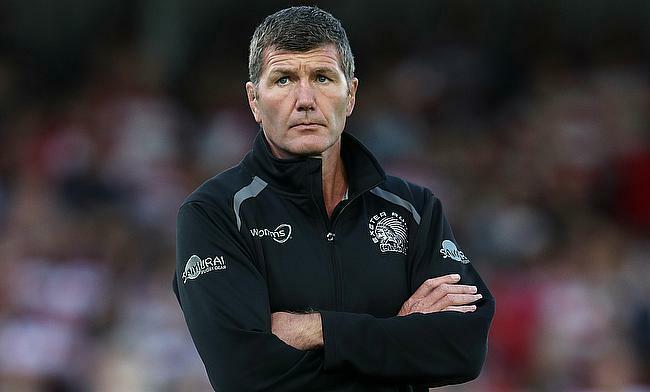 "I'm confident Tom will come here, work hard and buy into the things we ask him to do, and that will give him a great opportunity to play," said Exeter Chiefs director of rugby Rob Baxter. "With the season as a long as it next year because of the World Cup - and who knows what players we have involved with that - Tom could easily find himself as a frontline player from day one."